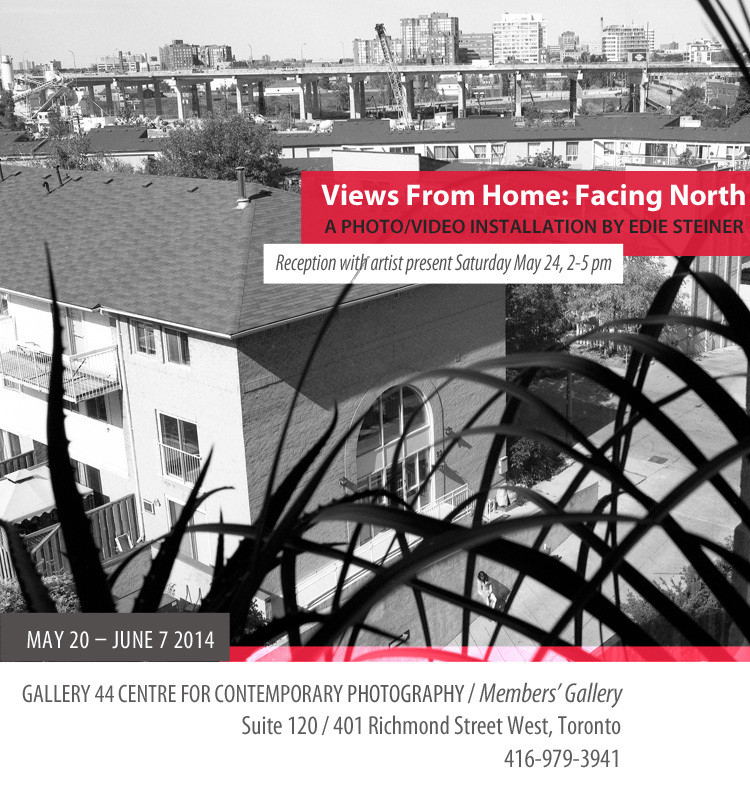 This exhibition is the culmination of a 10-year photographic documentation of a particular view from my home on Toronto’s waterfront, facing north. In the decade between 2004 to 2014, the visible landscape has changed tremendously, as a once wide view of the city gradually becomes an increasingly enclosed space. This entry was posted in Photography, Video by ediesteiner. Bookmark the permalink.